Israeli soldiers abducted, on Monday at dawn, eleven young Palestinian men, including a journalist, in the southern West Bank governorate of Hebron, and one in Jenin, in northern West Bank. The Hebron office of the Palestinian Prisoner Society (PPS) said the soldiers invaded many neighborhoods in the city, and Doura town, searched and ransacked several homes causing damage, and abducted Bashir Hafith Zahda, Khader Dandees, Amro Obeid, Bara’ Talahma, Tareq Ayman Ashour, and a photojournalist, identified as Bilal Tawil, 25. Tawil is a freelance photojournalist who deals with various local and international media outlets. The soldiers also confiscated his computer, before moving him to an unknown destination. 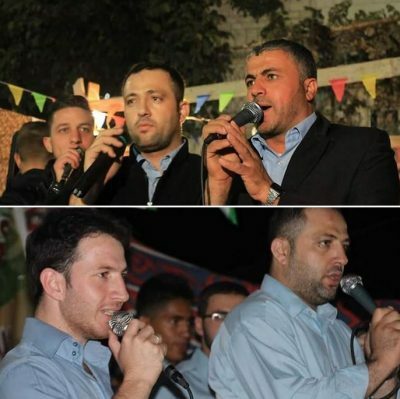 He, along with Tawil, Zahda, Talahma and al-Hroub are members of a Palestinian folk troupe in Hebron. The soldiers also invaded the ath-Thaher area and al-Hara at-Tihta neighborhood, in Beit Ummar town north of Hebron, searched homes and abducted Samar Samir Abu Mariya, 19, and Mo’tasem Jamal ‘Alqam. 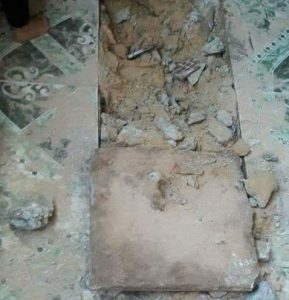 It is worth mentioning that the soldiers caused excessive damage to the home of Abu Mariya, wile searching it using K9 units, and removed many of its tiles. One Palestinian was injured by shrapnel after the soldiers fired live rounds at the main door of one of the invaded homes, before breaking into it. The wounded young man was moved to a medical center in Beit Ummar. In related news, the soldiers invaded Arraba town, southwest of Jenin, searched homes and abducted a young man, identified as Bassel Sa’id Rahhal. During the invasions, the soldiers fired many gas bombs and concussion grenades, at locals who protested the invasion. Also at dawn, the soldiers abducted three Palestinians, including a father and his son, in Bethlehem and Salfit governorates, in the occupied West Bank, and injured a young man.